All the tools, information and knowledge if you are thinking of leaving christianity. Leaving christianity is hard, i’ll help you. The Christian Wound is a vibration that 89% of us hold, which means that learning about it is not only important for Christians, but for us all. 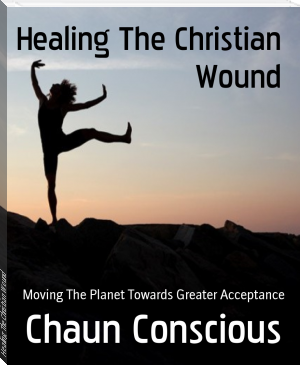 Put simply, the Christian Wound is the vibration which manifests into a belief that; “I am wrong and there is something wrong with the world”. People with a lot of money, wealth or fame tend to not hold this vibration very strongly. This vibration is most common amongst the impoverished, the downtrodden and the ill-fated.Whilst this vibration was not caused by Christianity per se, it has it’s origins in Christianity because when the vibration first arrived on planet Earth, it manifested as the invention of Christianity –officially around 323 AD –that is, 323 years after the prophet Yeshua actually died. During the summer of 2017 Chaun endured incredibly painful supernatural experiences. Chaun also receieved a Book Of Light hereby called The Nu Vibe Book of Divine Truth. This Book, The Nu Vibe, has the Transformational Power to shift the vibration of hatred into the vibration of self acceptance. To experience the Power of The Nu Vibe Book of Divine Truth visit: Hatred – Freedom At Last.